Your blood is powerful. It gives your body what it needs to keep up with everything you do all day, and it has the ability to make your skin look amazing. I’m not talking about what it’s doing inside of you; I’m talking about how it can help when you bring it outside onto your skin with a Vampire Facelift®. Celebrities across the world are joining #vampirefacial club. This club started with Kim Kardashian who admits to having it done and achieving awesome results. Now, just last month, Ferne McCann who met the challenge of “I’m A Celebrity, Get Me Out of Here” jungle decided to have it done. Ferne recently published a selfie on Instagram showing off her Vampire Facelift® while she was having it performed. It may have shocked many of her fans, but the bloody face is exactly the look she wants. It’s what makes this procedure so effective in revealing more beautiful skin. Unfortunately, she deleted the selfie shortly after she posted it. The reason it feels that way is because it does. When you use your own blood to add volume to your skin, you stimulate new tissue with regenerative cells found in the blood. Those cells are what give you radiant, more youthful looking skin. Vampire Facelift® is minimally invasive. A small amount of blood is drawn and then processed to separate the platelets in the blood. 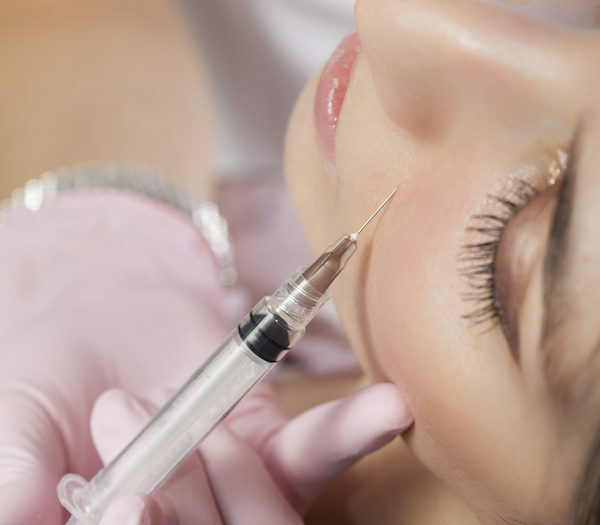 The regenerative cells that come out of this process are then injected into the skin to stimulate stem cells. These stem cell injections lead to increased collagen production, the development of blood vessels, and fatty tissue production. Intrigued? You can learn more about the Vampire Facelift® on our FAQ page or by calling me at 1-844-426-8696 to schedule a free consultation. All residents of Suffolk County and surrounding areas such as Islip, West Hampton Beach, Commack, Manhattan, Brooklyn, Rockville Centre, Huntington Bay, and Farmingdale, New York are welcome. Let me show you what celebrities are doing to look their very best every day! *James Christian Cosmetics is an authorized and certified provider of the authentic Vampire Facelift®. Do not accept any substitutions!